A Smart City is about making smarter choices, taking on a holistic approach to problem solving and implementing smarter solutions that impact all sectors. The main goal of a Smart City is to improve overall quality of life and to make service delivery more seamless and efficient with the most optimal use of resources. Smart cities respond to challenges such as climate change, rapid population growth, political and economic instability by fundamentally improving how they engage society, use data information and modern technologies to deliver better services and quality of life to those in the city (residents, businesses, and visitors), and many others. In 2017, Vaughan made a commitment to develop a plan to improve livability and create opportunities for citizens by binding the power of technology and data. I was named the Vice Chair of the Mayor’s Smart City Advisory Task Force (SCATF), which comprises industry experts, subject matter specialist and engaged citizens. The primary objective of this task force is to provide advice to staff and Council on how to develop a Smart City strategy. 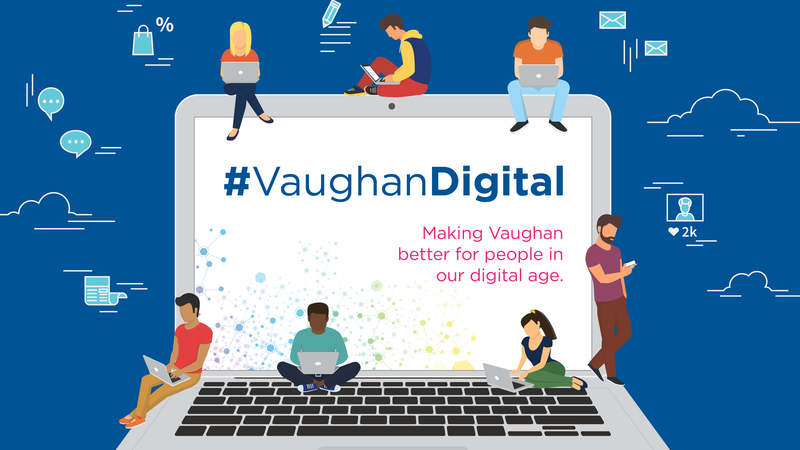 Vaughan’s Digital Strategy and the SCAFT are focused on leveraging technology to create convenience and comfort for our citizens, promote democratic participation, provide opportunities for societal transformation, improve business productivity and facilitate investment. Extensive citizen consultations revealed that Vaughan’s vision and definition for a Smart City should be inclusive and vibrant. Collaboration, through a culture of sharing and learning, is the core value of Vaughan’s Smart City work. Smart City initiatives also align with the City of Vaughan’s digital transformation that is already underway and supports the four focus areas of the Digital Strategy: an engaged community, seamless and efficient digital solutions, an open and transparent government, and a modernization of City processes. A Smart City is about the better use of resources, cost savings, making better decisions based on the use of data, efficient and seamless services, community collaboration and partnerships, improvements to safety and security, ease of doing business and equal opportunities for all citizens. At the end of this term of government, the SCAFT recommends that the City of Vaughan incorporate a Smart City focus in its next Term of Council Service Excellence Map. Smart City should be an overarching theme in the strategic plan in order to ensure every department is guided by Smart City policies, and that a communication plan and strategy should be developed for citizen engagement and continued feedback from citizens. Communication infrastructure is the foundation for a Smart City. Having the right infrastructure in place at the onset of development is preferable. 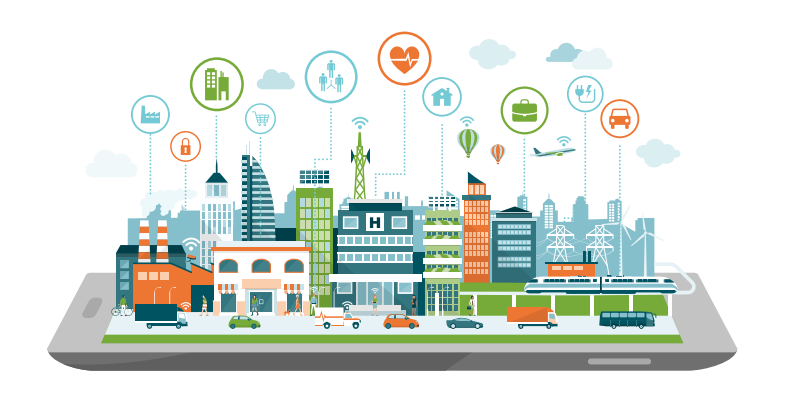 Smart City initiatives will require the City to work closely with partners and businesses, including developers, engineers, architects and technology providers to ensure communication infrastructure is available. Once hard infrastructure is built, it is difficult and costly to integrate communication infrastructure. This must be considered at the initial planning stage. The SCATF suggests the City of Vaughan consider long-term needs and plan ahead. Conduct a survey and mapping of existing Smart City initiatives that are already underway within the various city departments and divisions to identify strengths and gaps. Identify best practices from cities around the world that have implemented successful Smart City initiatives to solve challenges based on citizen priorities. Consider and actively pursuing alternative funding models and opportunities for Smart City initiatives, such as crowdsourcing and fundraising. Examine and investigate policies around data governance and intellectual property of Smart City developments. Create an innovation platform for businesses, entrepreneurs, community partners, and cities to provide input and feed into the City of Vaughan’s Smart City roadmap. Establish a start-up/scale-up ecosystem to support Vaughan entrepreneurs. Establish Vaughan sponsored co-working/incubator space, that can also be an event space for people to collaborate in the sharing of ideas. Investigate the demand and need for expanded communication infrastructure network investments required to support Smart City developments. Develop a “One Vaughan Portal” and App with real-time information on traffic, events and other services. Create a Vaughan Smart City 3D model to communicate to citizens what a Smart City would look like and the potential benefits. 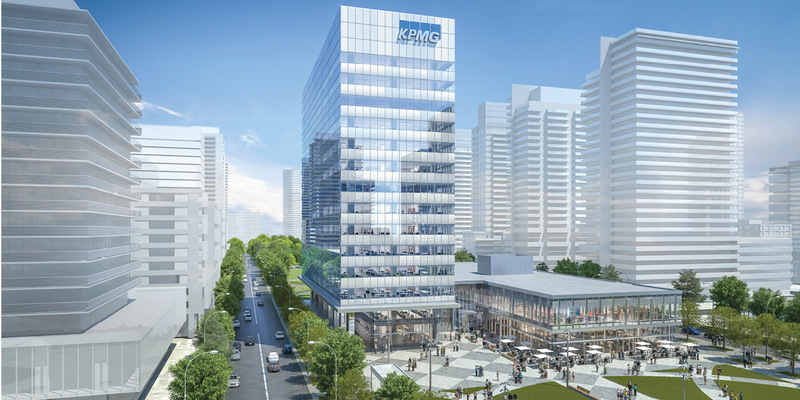 Consider Smart City pilot projects in the Vaughan Metropolitan Centre, in order to capture unique opportunities for seamless integration while the City’s new downtown is still at the development stage. For more information, please visit the City of Vaughan SmartCity website.